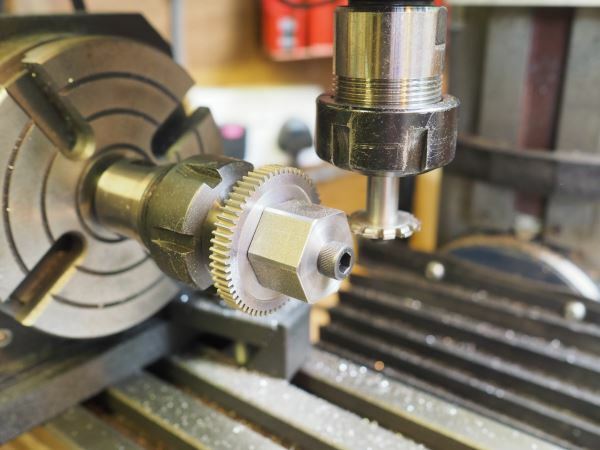 One of the main points to consider when selecting a rotary table is to go as big as you can within the limits of the milling machine that you want to use the table with. I have a small 3″ table that I have used with my Unimat Mill and with the larger Mini Mill, but it is rather small and very limited in capacity and stiffness. Tee slot width 11mm – I have made long T-nuts to extend ability to use the diameter. The basic table, actually 110mm in diameter which is really useful. The worm drive is very positive with little if any backlash. The table and all parts arrived in bags and very well greased. The thumb screw on the main body can be released and then the worm rotated to disengage from the gear thus allowing the table to rotate freely, this allows the to be rotated by hand to a given position. The 2 table clamps lock the table and stop rotation – they are a tad clunky and caphead bolts would be better than the bars. The issue is the bolts are 6×1.25mm which is a very odd and rare thread. The centre of the table takes morse 2MT. Here I′m fitting an ER25 collet chuck. The back of the table with the bolts that attach the back plate, again there is no play in the main table bearing in any direction. The image to the right shows me fitting a locking bolt to hold the ER25 collet chuck in place. The handle can be removed easily by releasing the caphead bolt. The handle being located with a keyway. This then allows the dividing plates and crank to be fitted in place of the free-rotating handle. 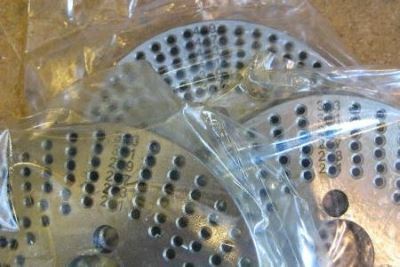 It was only after 6 months that I went to set the table up as a dividing head that I realised I had been sent 3 dividing plates, 2 of which were identical – an email to Warco and the missing dividing plate arrived 2 days later along with a free return address for one of the doubles that I had. Read more about gear cutting with the HV4 rotary table. 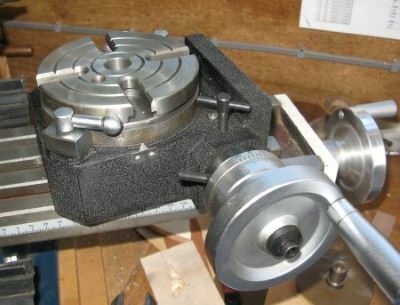 A solid 4″ rotary table that is actually nearly 4.5″ (110mm) and with a very sturdy worm drive. There are some oddities such as 6×1.25mm threads used for the locking nuts and the locking of the worm drive. As you will see further down this page I have now used this for gear cutting and it really does work a treat. 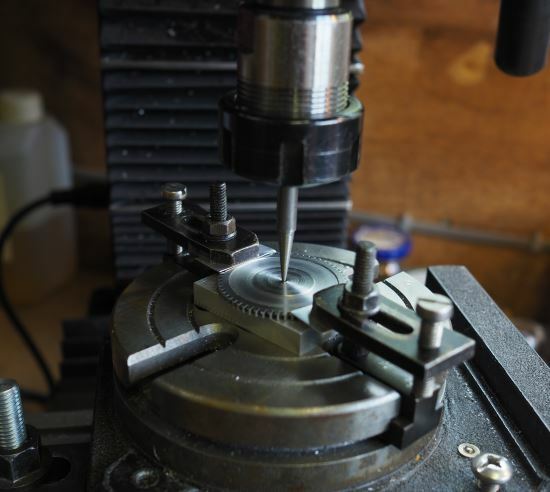 Aligning the rotary table – a simple method to align the rotary table centre with the mill spindle and then to align a part on the table and clamp it down. This is rather rough and ready approach, but it works to a degree. I’ve then gone on to try a number of different methods and then measured the accuracy using a dial indicator. Gear Cutting with the Warco HV4 Rotary Table – I’ve now used this table with the indexing plates a number of times and the results are superb. This is a very easy to use table that is simple to setup with the plates and easy to again turn back to a normal rotary table. 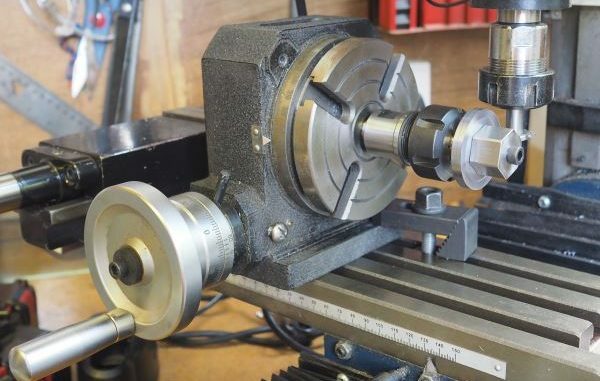 Curious, what ER25 collet chuck are you using here? One with a morse taper? I have never seen any that are threaded to accept a locking bolt.